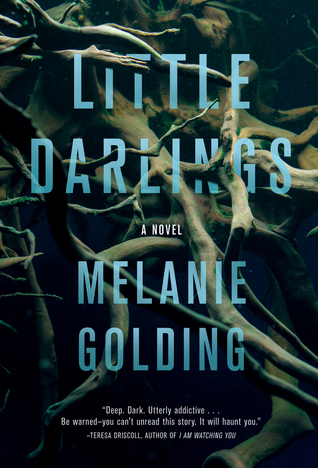 Little Darlings will leave you wondering what is happening right up until the very end. Is Lauren losing her mind, possibly afflicted with post-partum depression? If not, have her babies really been swapped with someone, or something, else? This story is a successful blend of psychological suspense, ghost story, and fairy tale. Dark things exist in the world that Lauren Tranter inhabits, and it’s up to the reader to decide what is real and what is imagined. I devoured this book in two sittings. It was almost impossible for me to put down – I just had to know what was going to happen. I can’t recommend this thriller enough. Wow. That sounds like one not to read if you have a newborn. It does sound like it would keep you reading just to see the end. Thanks for the review. I was already desperate to read this book… now I might just go ahead and start reading!